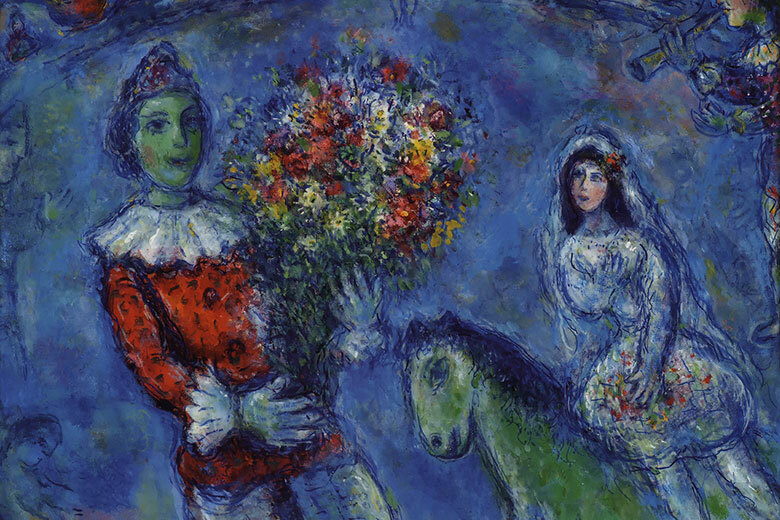 The dreamlike imagery of Marc Chagall – one of the key figures of 20th-century art – is currently on show in Asti, in the beautiful region of the Langhe. Housed in the elegant spaces of Palazzo Mazzetti, the exhibition features 150 drawings and paintings by the artist, many of which are on loan from private collections. The works on display explore his artistic vision and the oneiric universe, a combination of childhood memories, fairy tales, poetry, religion and war. The exhibition is divided into seven thematic sections, highlighting the various stages in his artistic development, from his early works in the 1920s to his dramatic escape from Europe during the Second World War, right up to his last years in the United States. Palazzo Mazzetti. Corso Vittorio Alfieri, 357 (Asti, 50 km from Turin).